I’m 12 years old and I live in Atlanta, Georgia. I have a 14 year old brother, Scott. I enjoy photography, coding, robotics and playing with dogs. When I get older I want to be a pediatric robotics surgeon. My favorite Candlelighters NYC experience is being able to play with Barbara’s dog, Uno. My parents say their favorite parts include the special events such as the Halloween party, the LEGO store outing and going to the NYPD station in Central Park. 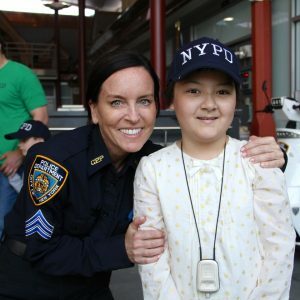 Click here to donate to Candlelighters NYC in honor of Audrey.